Manchester United striker Robin van Persie rejects talk that he is unhappy with David Moyes’s coaching methods at Old Trafford, according to Dutch newspaper De Telegraaf. 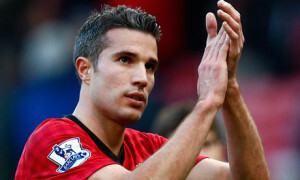 Recent rumours suggested Van Persie had not been impressed by Moyes’s reign so far after replacing Sir Alex Ferguson at the helm of the Premier League champions. The report said that former Everton boss Moyes now has his work cut out to convince Van Persie he is the right man for the United hotseat. Despite starting the season brightly, with two goals in United’s first two games, the 30-year-old appeared out of sorts in the goalless draw with Chelsea and 1-0 defeat at Liverpool, the report added. Next post LeBron James: The NBA star has he cheated on his future wife?